An area rug can set the tone of an entire room, grounding the design and adding warmth and personality to any space. It is more than likely the largest piece of art and design in the room, so simply changing it out can have a massive impact. If you’re looking to update your space, a new area rug may be just the change you need. Neutral area rugs are a great choice and very trendy right now because of their versatility and the clean, warm feeling that they bring to a room. Changing out dark colors or a bold pattern for a more subtle and lighter color rug will immediately brighten up the whole space, adding a sense of warmth and airiness. You can keep it interesting by choosing a rug with great texture or a little bit of pattern to it. When it comes to choosing the right neutral rug for your room, there are a few things to consider. The first is your price point. A well-made area rug can be a great investment and really make a statement, but an area rug doesn’t have to be expensive to be beautiful. 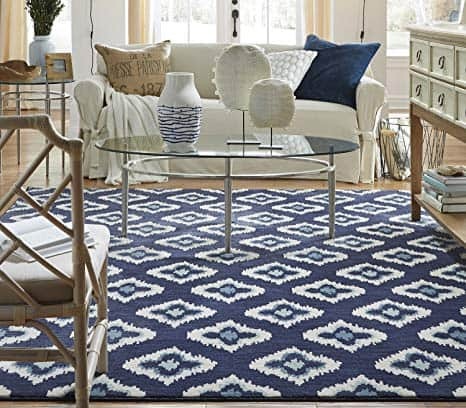 If your budget, or lifestyle, mean that a costly high-end rug isn’t a good option for you, there are plenty of gorgeous rugs out there at every price point, so you’ll be sure to find one that fits your style and your budget. Just remember not to skimp on the size of the rug in order to afford the one you want. You always want to make sure that you are buying a rug in the size that will fit the room layout you want. Check out our handy guide here to help find right size for your space. 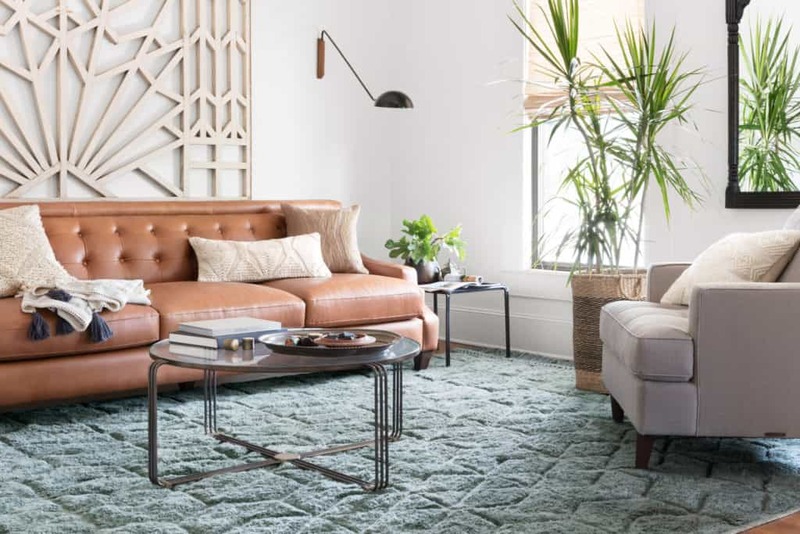 Even if you really love a rug that is just too expensive, you’re better off finding a more reasonably priced version of it than going down a size too small for your room. 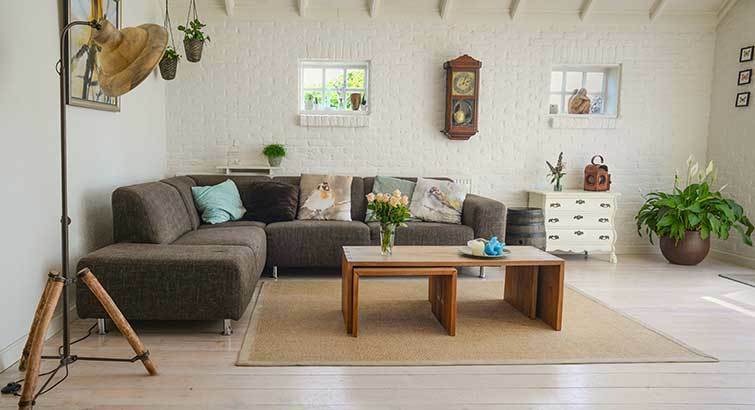 The second thing you need to consider is your lifestyle and the amount of use your new rug will get because not all rugs are created equal when it comes to high-traffic areas, children, or pets. 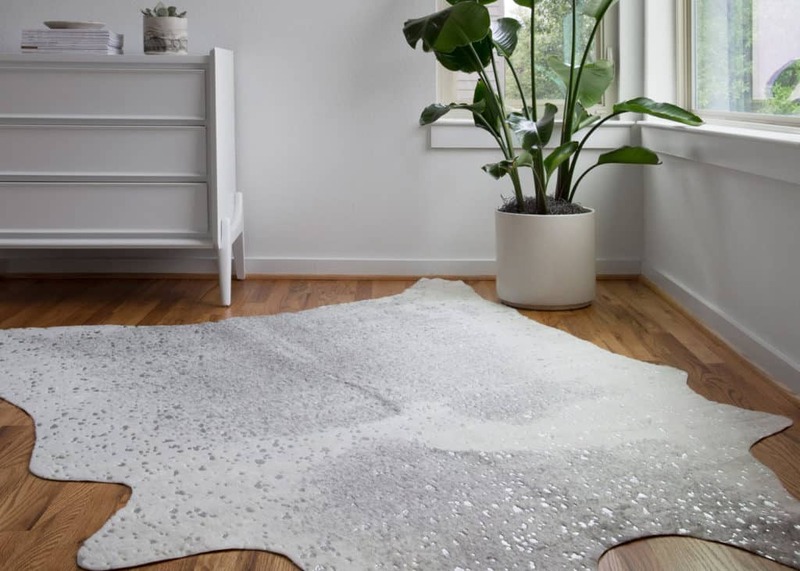 Lush, high pile rugs feel wonderful under your feet and certainly add a sense of luxury and warmth making them perfect for bedrooms or areas that don’t see a lot of foot traffic. They may not hold up as well in rooms that get a lot of use, though, and could start to show wear more quickly than you’d like. Lower pile rugs, or rugs made out of more durable fibers, would be a better choice for these areas. Loop pile rugs, such as Berber, can also be a good option but if you have pets remember that their claws can sometimes snag in the loops. The last thing to think about is the style and feel that you’re trying to create. 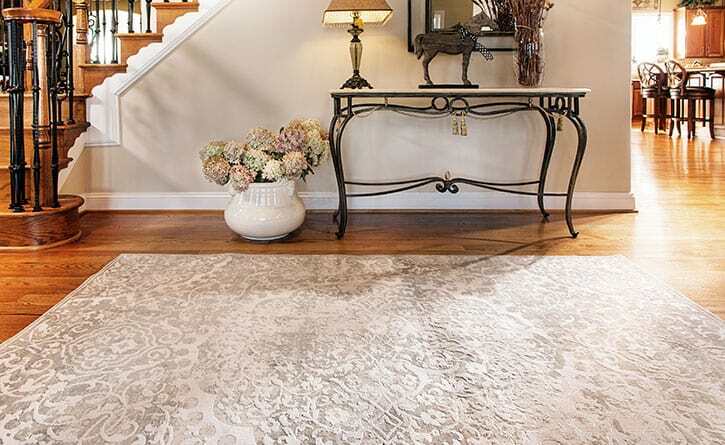 You can find a neutral rug to fit any decor, from contemporary to traditional and everything in between. Maybe you’re looking for something simple and natural, like jute. Or perhaps a Persian-style rug with subdued, neutral tones. Even geometric patterns are an option if you want something a little more modern. With so many choices available today, you can really let your personal style show and create exactly the feel you want in your space. No matter what style, or rug type you choose, a great neutral rug is sure to make a statement and brighten up any room.